Platinum is a premium metal for your jewelry. There are many myths about the properties of this metal. Customers always ask questions about platinum which we are going to discuss in this blog. 1) Platinum is the same as white gold. In the finished state, both white gold and platinum have a similar appearance, but the similarities stop there. Platinum comes from the earth as a pure white metal, while gold is of course yellow in color when mined. Gold is mixed with nickel and silver and rhodium plated to give it its white appearance. Platinum does not need to be rhodium plated and platinum’s pure white color endures forever. Platinum also accentuates a diamond’s brilliance. At 90 to 95% purity platinum is very dense, durable, and hypoallergenic. Platinum looks and feels very luxurious when used in jewelry. I have always told customer that once they have tried platinum they will not want to go back to using other metals in jewelry. Over time all metals used in jewelry can get scratched and most metals actually wear away over time. Platinum behaves differently, it does not wear away over time, at a molecular level it actually moves when impacted instead of loosing material. 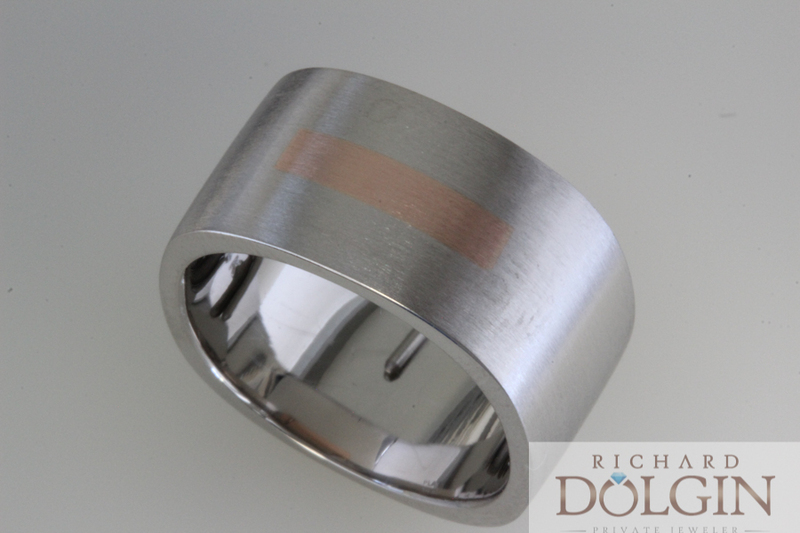 Platinum will develop a patina over time, but jewelry can always be polished to regain a high sheen. The tendencies of Platinum make is excellent for securing gemstone and for the longevity of a piece of jewelry. Platinum actually ‘work hardens’ and will last much longer than white gold. There is a definitely a different skill level required when working with platinum to create fine jewelry. Many jewelers are unfamiliar with the characteristics of platinum. In those cases you may find the store you are shopping in may discourage you from purchasing platinum jewelry. Most Master Jewelers work with platinum on a regular basis, knowing its tendencies and characteristics. If you check out the finest jewelry stores, most do not carry white gold, but only platinum. Platinum is a quality investment. While the cost may be larger up front, a platinum piece of jewelry will save you money and time over the years. Platinum requires less maintenance and repairs. 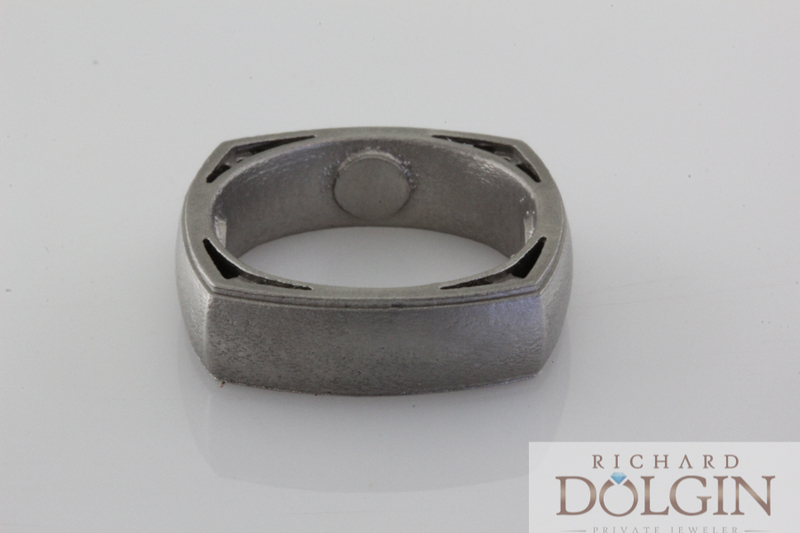 At Richard Dolgin Private Jeweler, we highly suggest platinum. The platinum quality tag on jewelry immediately lets someone know that this is a high quality piece. I have always told clients that the longevity, wearability and durability of platinum are much higher than that of white gold. Once you experience the benefits of wearing platinum jewelry, you will never go back. Here are some pictures of custom platinum jewelry we have created in the past. If you are interested in a custom piece of jewelry, we can definitely tell you about the beneficial attributes of platinum jewelry.